Today I decided to set up a home FTP server. Although my web host already provides some space for me to FTP files into, having a personal FTP server allows me to send files directly to my own personal archive. As an added benefit, I don’t have to worry about hosting copyrighted files on the public-facing internet! 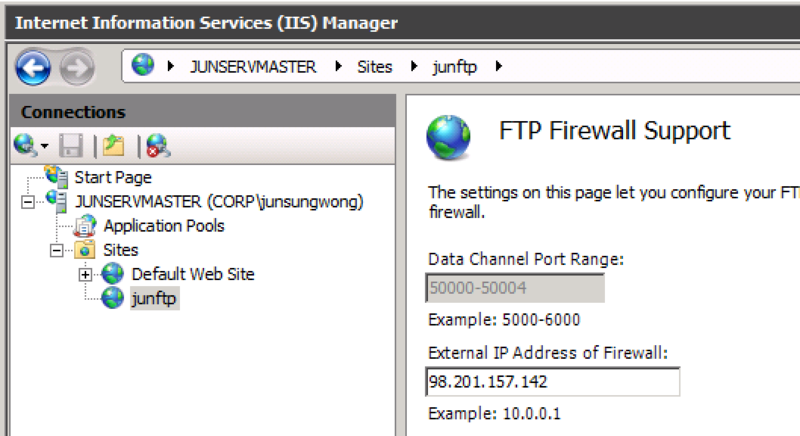 Now open IIS Manager from Start > Administrative Tools, expand the server, right click Sites, and click Add FTP Site, give it a site name and configure the physical path as needed. Configure Binding and SSL. In my case, I chose “Allow SSL” and assigned my server identity certificate (different than the image below). This allows secure FTP connections later on. 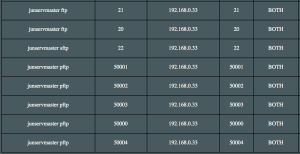 Enable Basic Authentication and configure authorization. In our case I’ll start with allowing All users both Read and Write permission as long as all the users on the server are password protected. Click Finish to finish the configuration. 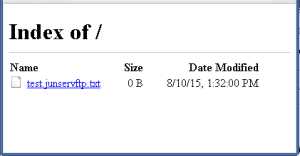 Click the actual FTP site. 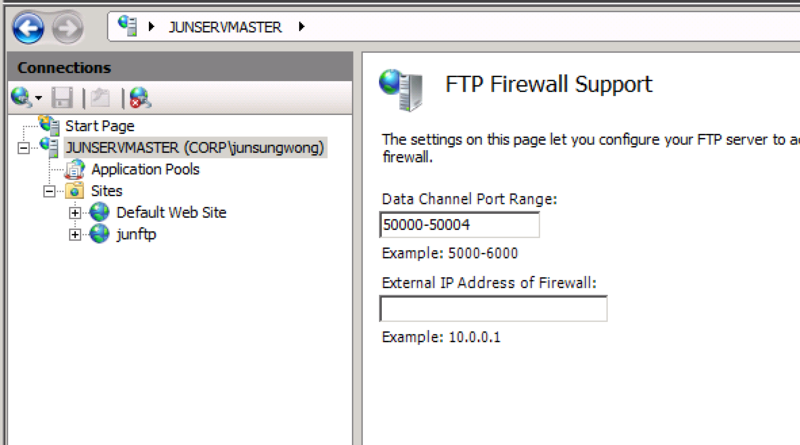 Go to FTP Firewall Support and type in the external IP address of your FTP site. In FileZilla, click on Edit | Settings. 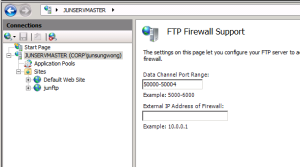 Under Connection, click on FTP and choose Passive as the Transfer Mode. 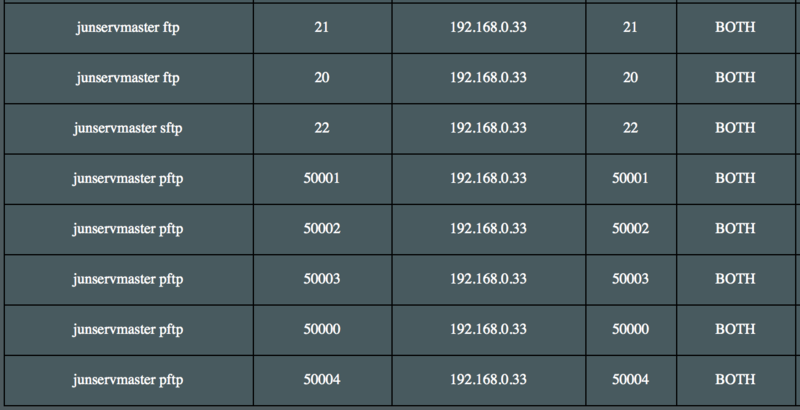 In FileZilla, if you see any colored text (blue/green) your client is probably trying to use passive connections. You can configure the FileZilla client to use active connections, in which case the log will only show black text.